Justin Weinstein is a personal injury lawyer and the founder of Weinstein Legal. 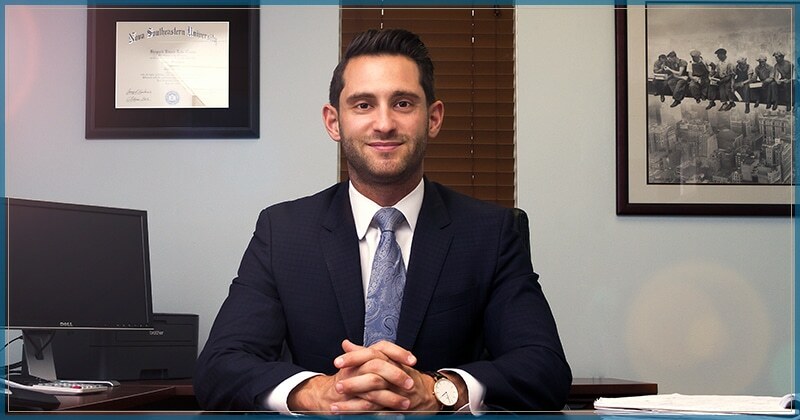 Mr. Weinstein graduated from Nova Southeastern University with his Juris Doctor and was admitted to the Florida Bar in 2012. In 2016, Mr. Weinstein opened his practice in Fort Lauderdale, FL with a focus on the litigation and resolution of insurance coverage disputes involving personal injury protection claims. Mr. Weinstein primarily focused on representing chiropractors, physical therapists, diagnostic facilities, orthopedic surgeons and specialists, and any other medical provider that treats someone injured in a car accident, and assisted in recovering thousands of dollars from the insurance companies. By representing these individuals, Mr. Weinstein worked to build significant relationships with medical professionals throughout South Florida and the Treasure Coast. These relationships have provided him the ability to provide great options for clients who so desperately need medical attention after suffering a personal injury. Mr. Weinstein was an associate attorney for four years at two South Florida Personal Injury law firms. During this time he developed his court litigation skills and took on personal injury protection claims, drafting and arguing motions, attending and conducting depositions, and more. Mr. Weinstein also served as a judicial intern for Judge Andrew L. Siegel during his first year of law school. As a strong advocate for fighting for the rights of the injured, Mr. Weinstein is dedicated to establishing a strong relationship with clients. All too often, clients say they cannot get a hold of their attorney or that their lawyer does not care about them. Mr. Weinstein treats every case as if it were his own. He will always answer a client’s call, and wants them to rest assured that the resolution of their case is a priority. Mr. Weinstein’s dedication to the pursuit of justice has earned him a reputation as a lawyer you can trust when you have been hurt in an accident and need legal help. Mr. Weinstein gives back to the community through the organization Connect for a Cause, an association of like-minded professionals dedicated to benefiting multiple charitable organizations. Mr. Weinstein co-founded the group to raise money for a variety of diverse causes, and build a strong local network of high-achieving professionals.